In December, I was lucky enough to visit Mexico to attend my cousin’s wedding. Of course, this meant traveling with my wedding attire, including jewellery. 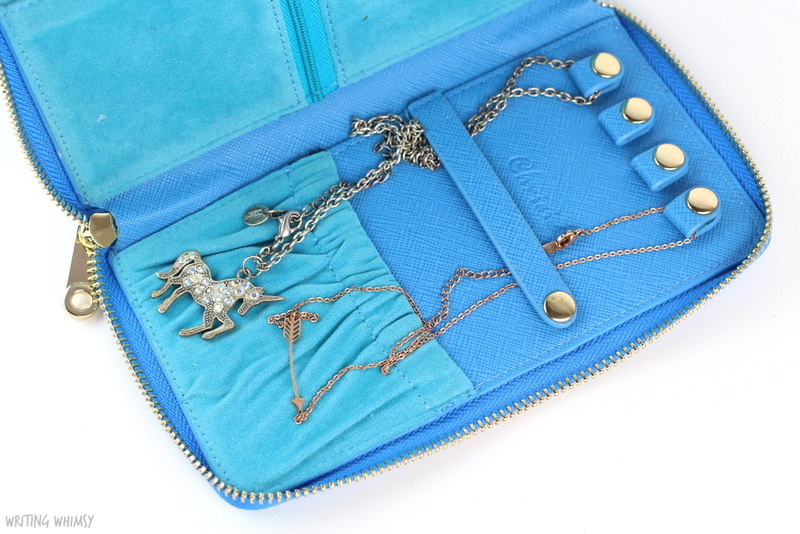 Inevitably, if you are traveling with several pieces of jewellery they are all going to get tangled with each other, so I was pretty intrigued when I head about the ChrisiL Jewelry Travel Wallet. 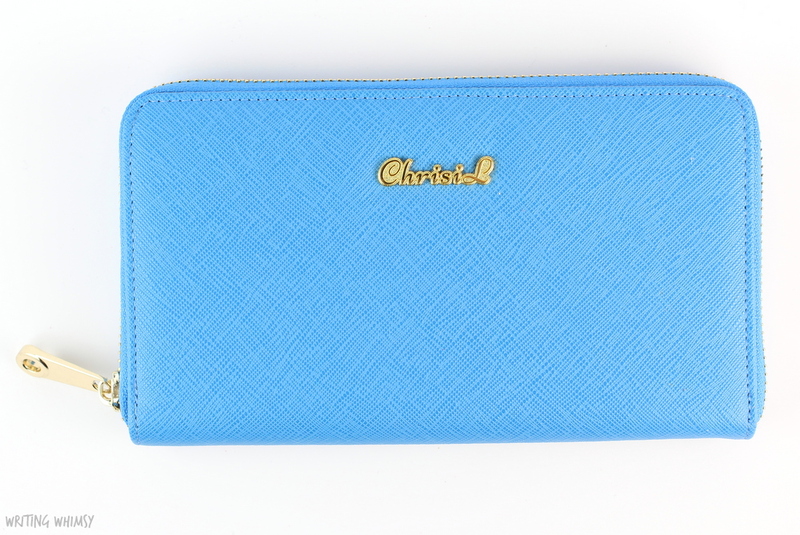 The ChrisiL Jewelry Travel Wallet is a zippered wallet pouch, similar in size to a large wallet, and available in pink, blue, and white with a print on it. I picked the blue, and it’s a lovely shade. There’s a sturdy gold zipper and the logo on the front. 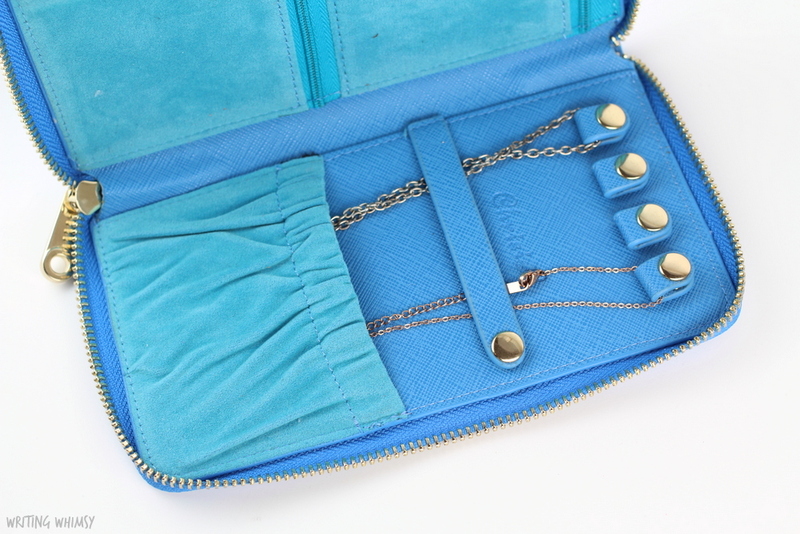 One side of the ChrisiL Jewelry Travel Wallet has 4 snaps and a pouch at the bottom perfect for keeping your necklaces in place. On the other side of the ChrisiL Jewelry Travel Wallet there are two zippered pouches, perfect for storing rings or earrings. 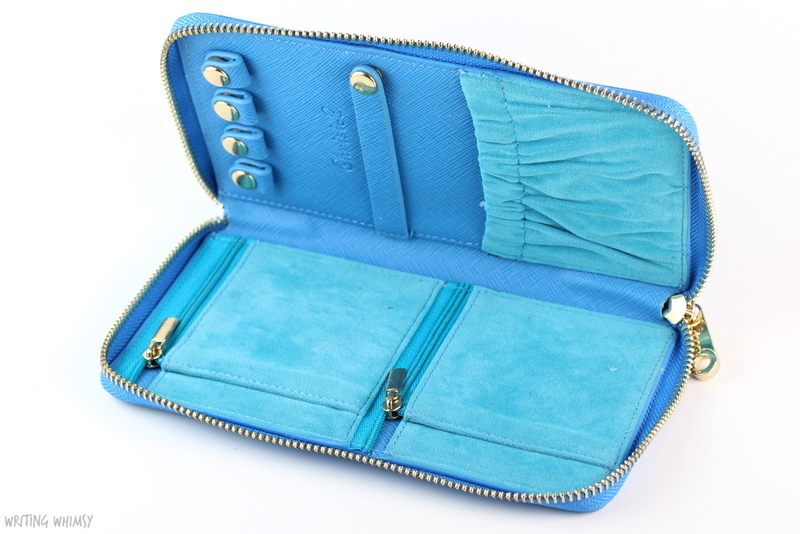 The wallet itself is really nice quality, and if you have a small jewellery collection it would even be convenient to use at home! Honestly, a jewelry wallet is something I had never even thought of before, but it’s such a clever idea and the ChrisiL Jewelry Travel Wallet is extremely well made. If you travel a lot, this is a definitely something worth checking out! You can learn more here. 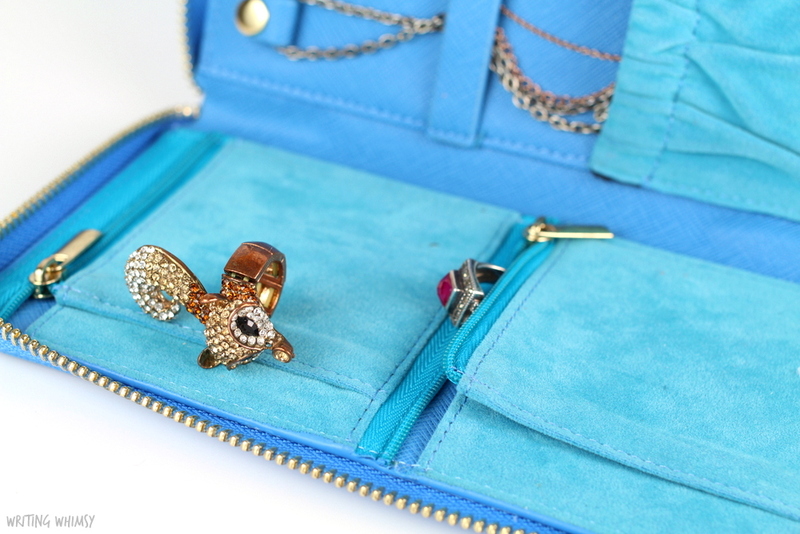 How do you store your jewelry when you travel? 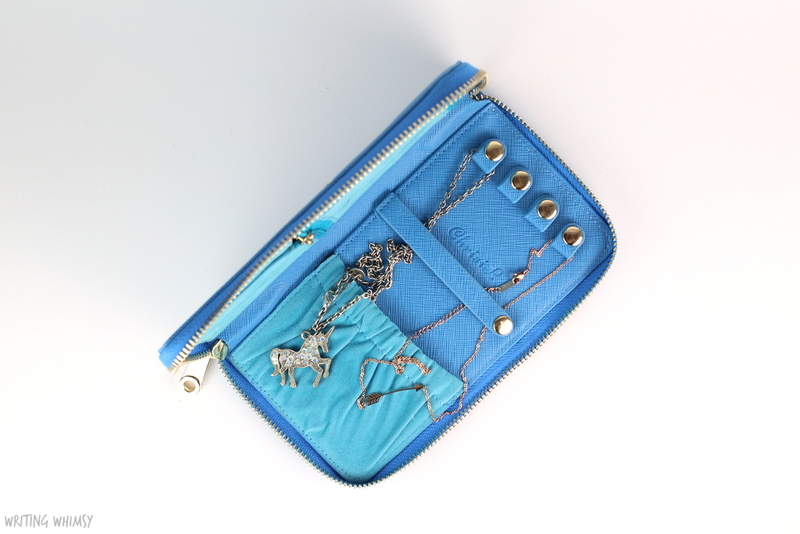 What do you think of a jewelry wallet?